My post on Windows 8's pre-launch metrics suggested that the platform would see poor demand in the market and now, early reports seem to concur with that prediction. According to a report from Paul Thurrott, sales of Windows 8 based devices are far below Microsoft's expectations. Unsurprisingly, Microsoft has taken to blaming OEMs for their failure. My source cited to me the PC makers’ “inability to deliver,” a damning indictment that I think nicely explains why the firm felt it needed to start making its own PC and device hardware. In a related conversation with Microsoft the week after BUILD, I floated the notion that the company’s retail store expansion could one day lead to it becoming the number one in-store experience for PC makers’ wares, a not-so-subtle change in their relationships. This idea had clearly been considered as a possible future, leading me to believe that Microsoft has indeed soured on its traditional partner relationships and is looking to shake things up. It really seems like Microsoft's OEM relationships have become more and more adversarial, as more partners have hit back at Microsoft over its decision to enter the hardware business. Transforming into a consumer marketing and retail company overnight is extremely difficult, if not impossible. Since Microsoft & Windows have become household names driven by OEM partnerships, any deterioration in these relationships poses a huge risk. With weak enterprise demand for Windows 8, OEMs can't bank on that segment to make up for an anemic consumer market. Weakening OEM relationships have already relegated Windows RT to a minor platform and a Windows 8 driven sales crash could scare enough OEMs to rethink their partnership with Microsoft. I don't mean to suggest that OEMs have an alternative in the PC industry, but most OEMs are looking to find an alternative to the PC industry itself, at least in terms of focus (primarily enterprise services and mobile devices). The delay in Intel's "Clover Trail" processors has already put most x86-based Windows 8 tablet plans on ice and the entire PC supply chain in disarray at a very crucial time. With the holiday season coming up and Android tablets gaining traction, Windows 8 devices may not get much of an opportunity in the market. In addition to this, Microsoft seems to be losing traction among their developer base as well, as more and more mainstream game developers have continued to berate Windows 8. Microsoft's entire Windows 8 strategy hinges on moving its traditional developer base to the "Windows Store", as consumers are unlikely to buy a Windows 8 tablet to run legacy (non-touch) applications. Conclusion - Windows 8 faces an uphill challenge because of a combination of factors, led by deteriorating OEM relationships. 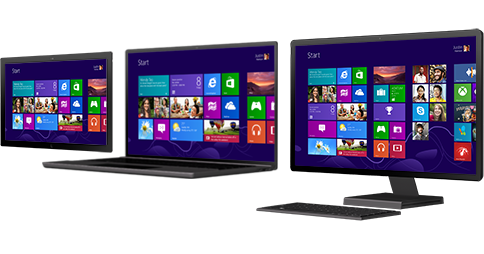 Windows 8's failure will have grave consequences, not just for Microsoft, but for the PC industry as a whole. Driven by elongated replacement cycles, I see the Post-PC era as one in which the PC industry transforms into a niche, focused on power users and the enterprise.